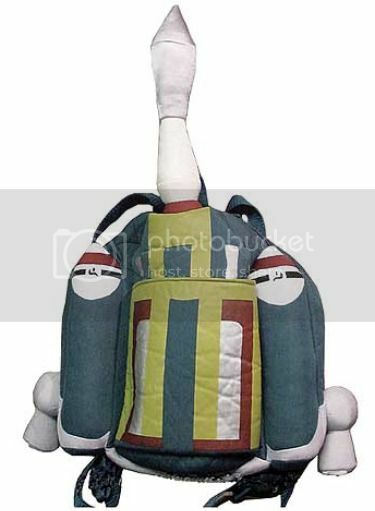 Good thing the Boba Fett backpack isn’t being released until August, because if I saw one of you wearing this thing at Comic-Con later this month, I would demolish you with the power of my judgment. That thing is just a little bit phallic. What with the testicle things on each side, and…well…yall see the other part. Cool idea though (I guess). Oh come on, you know you want one.